bookable directly on the site. 20 minutes by Metro from Paris 'Place de Clichy Or Moulin Rouge' at Only 20 minutes from the famous place Champs Elysees, 10 minutes walk to 'Stade De France', welcome to Eurohotel Paris St Denis; in the heart of St Denis, our hotel is located in an ideal place from which to do all your sightseeing. 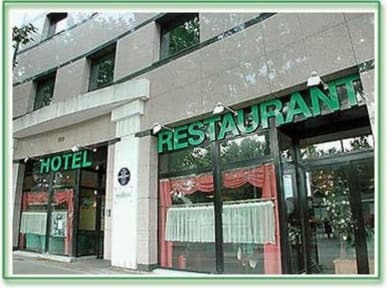 Our hotel offers low-cost accommodation with free Wi-Fi and secure on-site parking. The guest rooms are equipped with a private bathroom, satellite TV and a work desk. They are also serviced by a lift. 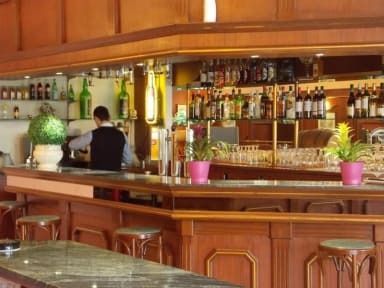 Eurohotel-Saint Denis serves a daily buffet breakfast and also has a bar and a restaurant, open for lunch and dinner. The Basilique de Saint Denis Metro station (line 13) is 200 metres from the hotel, providing access to the capital’s many sites. Charles de Gaulle Airport is 16 km away.